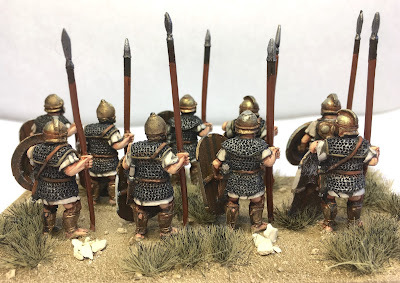 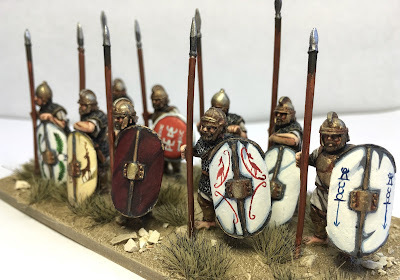 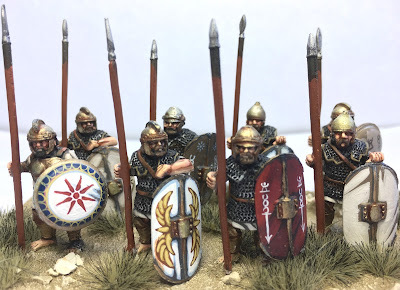 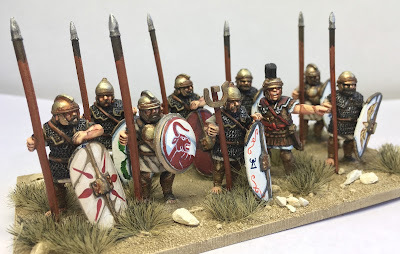 These lads have featured on this blog a few years ago when we were all playing WAB and until recently they had been living in a storage cabinet many miles from home. 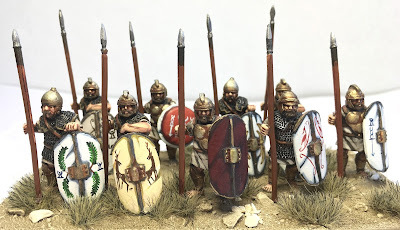 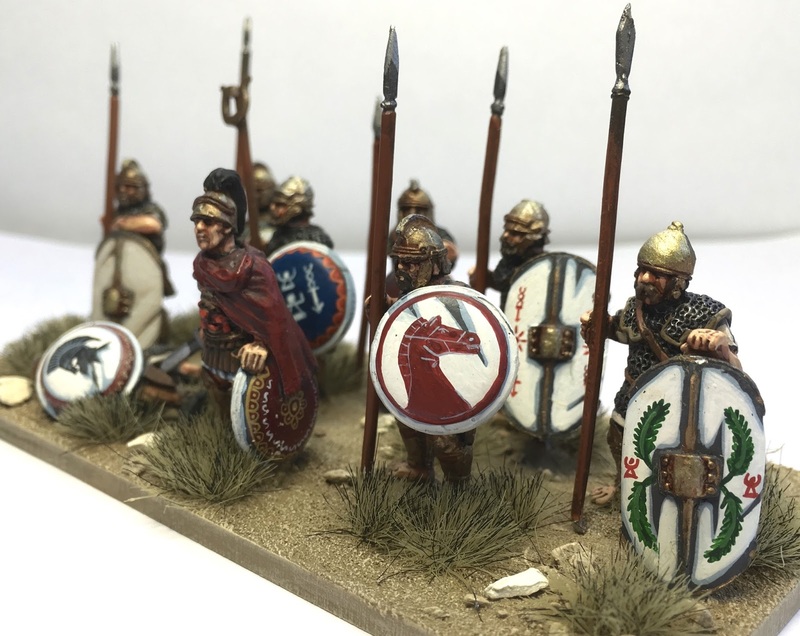 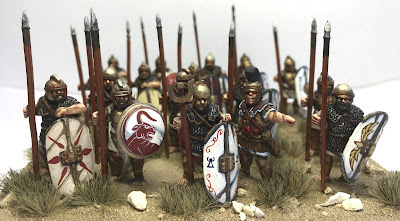 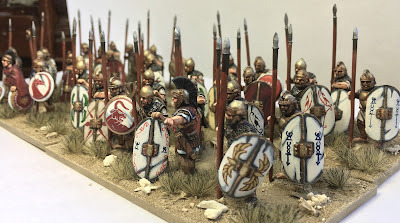 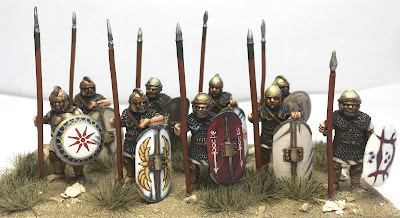 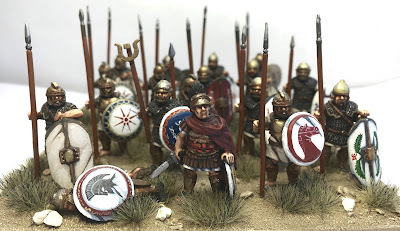 But they have agin seen the light and have since been rebased for our Carthaginian Basic Impetvs Army. Finally painted by Leroy Simpson, who even hand painted the shields before he too had to get classes. 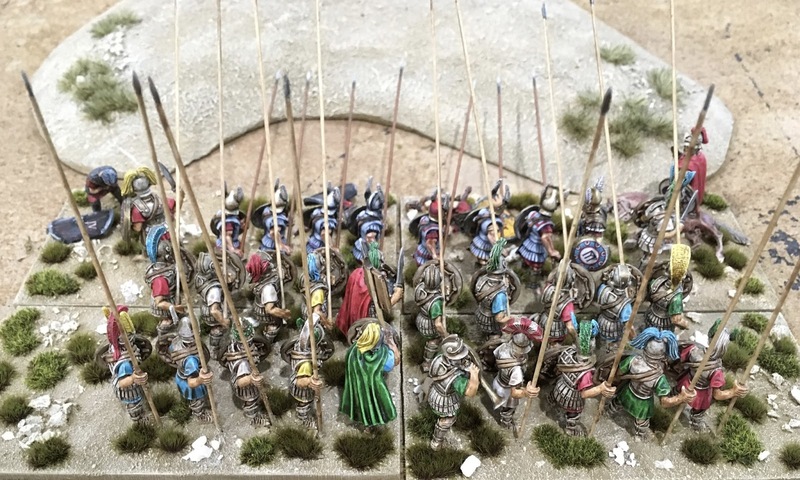 However they are still one of Leroy's greatest units painted I believe. 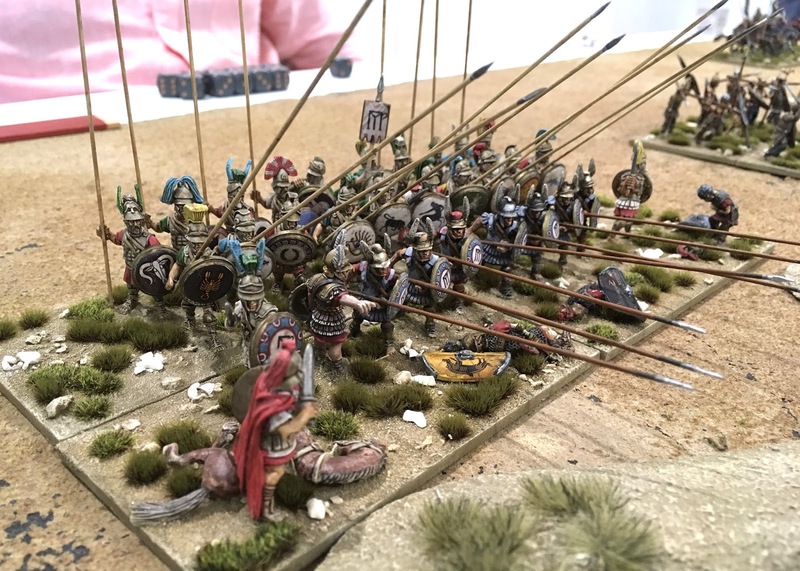 Easter Monday Myself and the lads from our club got together and rolled a few dice around the table, hoping to bring victory to our freshly based armies. Some had wins and some had a lose but we all thoroughly enjoyed the afternoon. 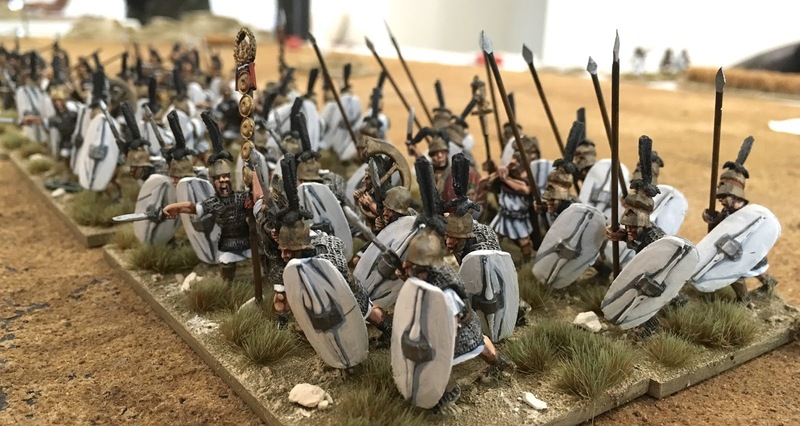 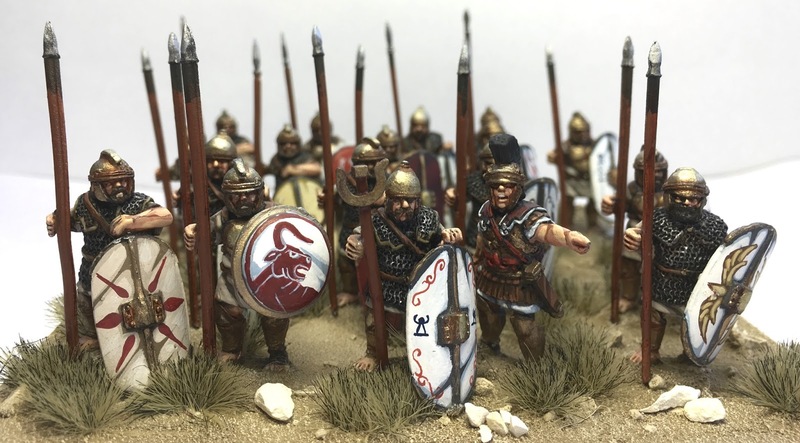 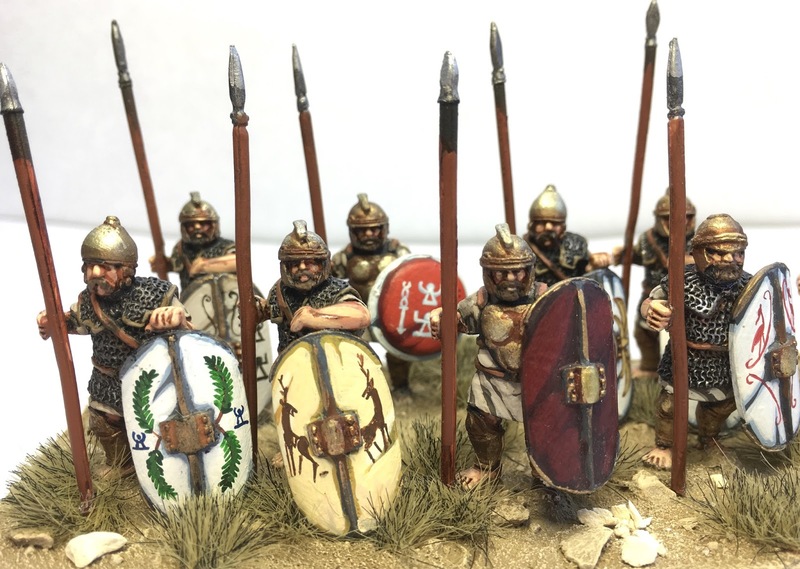 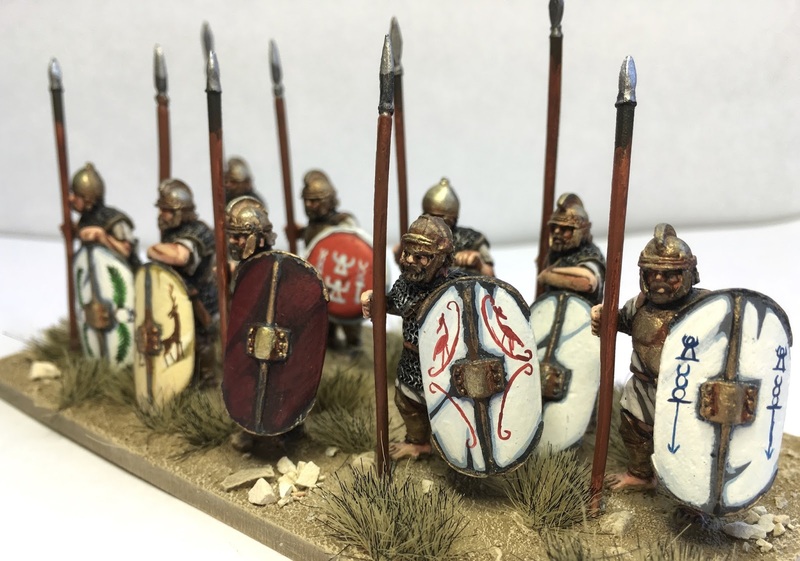 The show case army of the day belonged to Jeff Smith who tested his raw Pyrrhic Army against the Early Republican Romans. 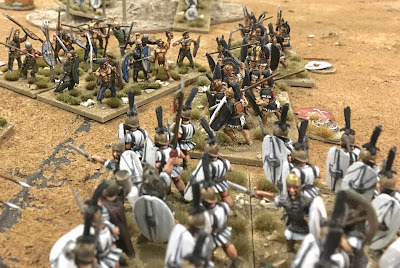 His boys had their first taste of victory and won in true Pyrrhic style. 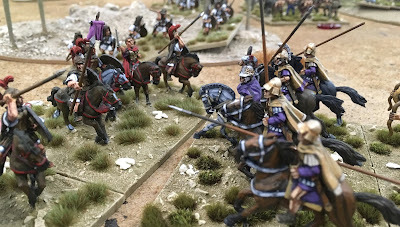 Jeff centre piece however was the beautifully painted and based pike units. 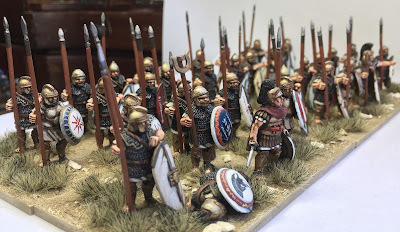 Jeff has based them so that all four units make this fantastic little diorama. 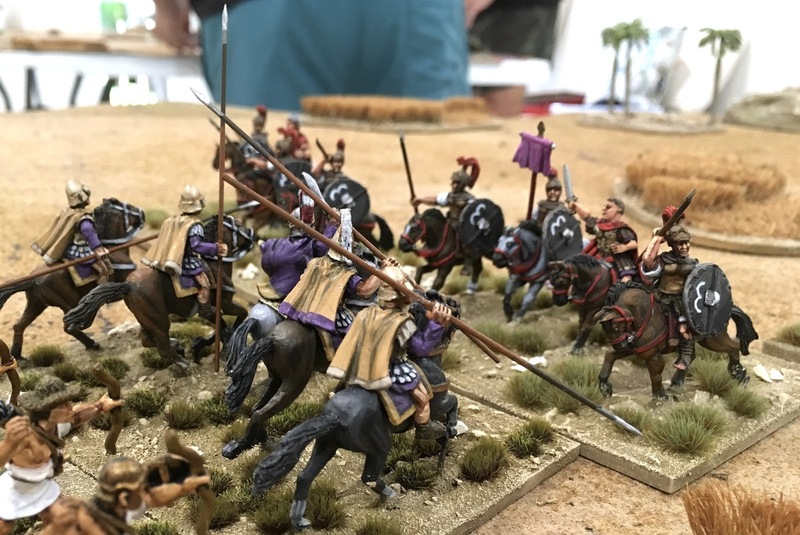 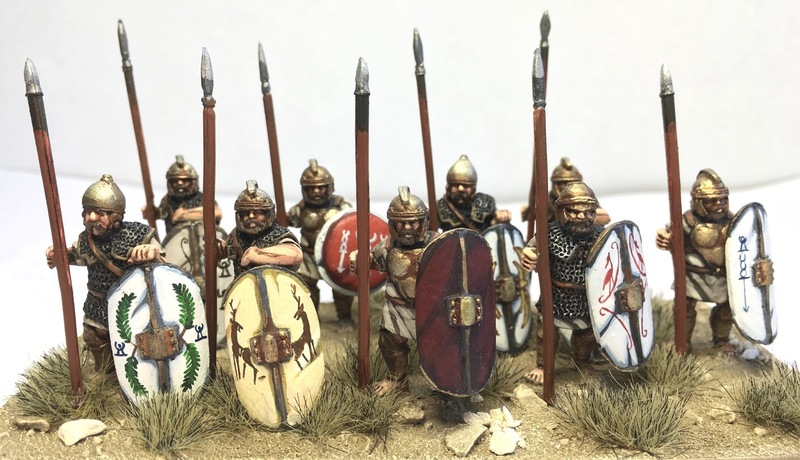 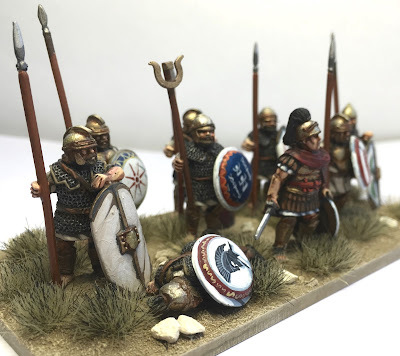 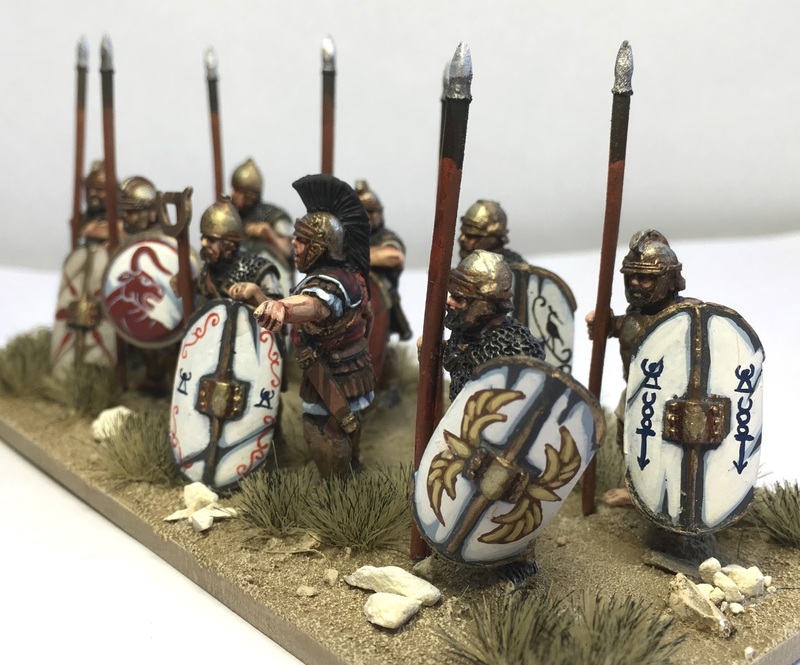 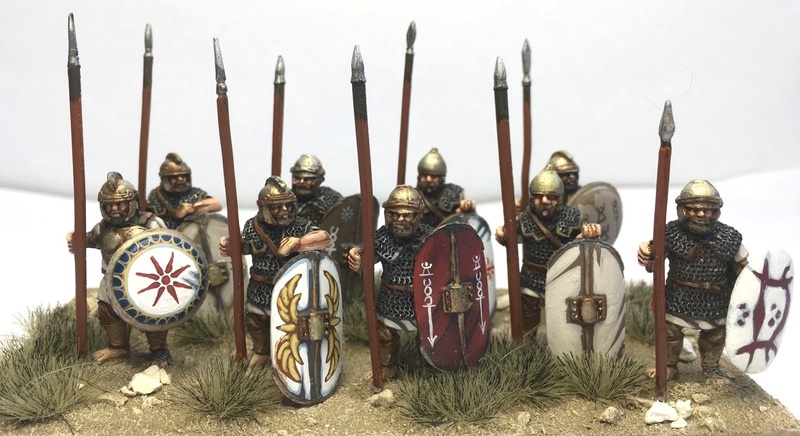 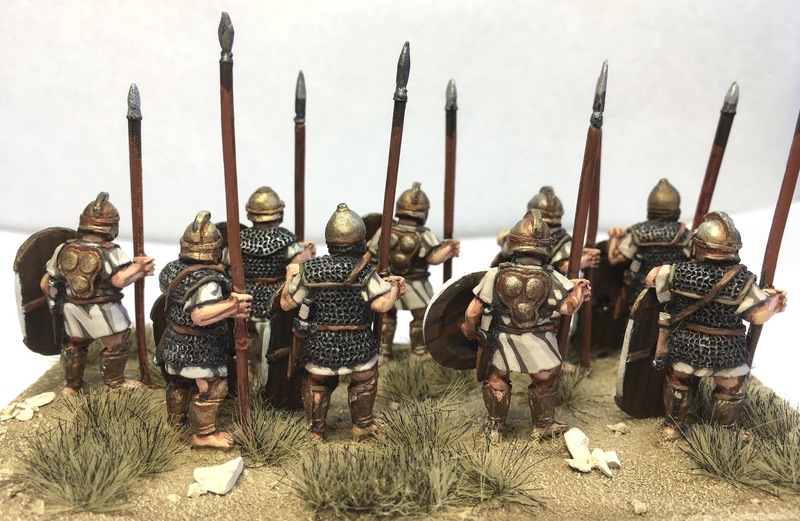 The figures are a mix of Aventine, Wargames Foundry and Old Glory Miniatures and been painted by Leroy Simpson (front rank) and Zaknafir Zak (rear two ranks). 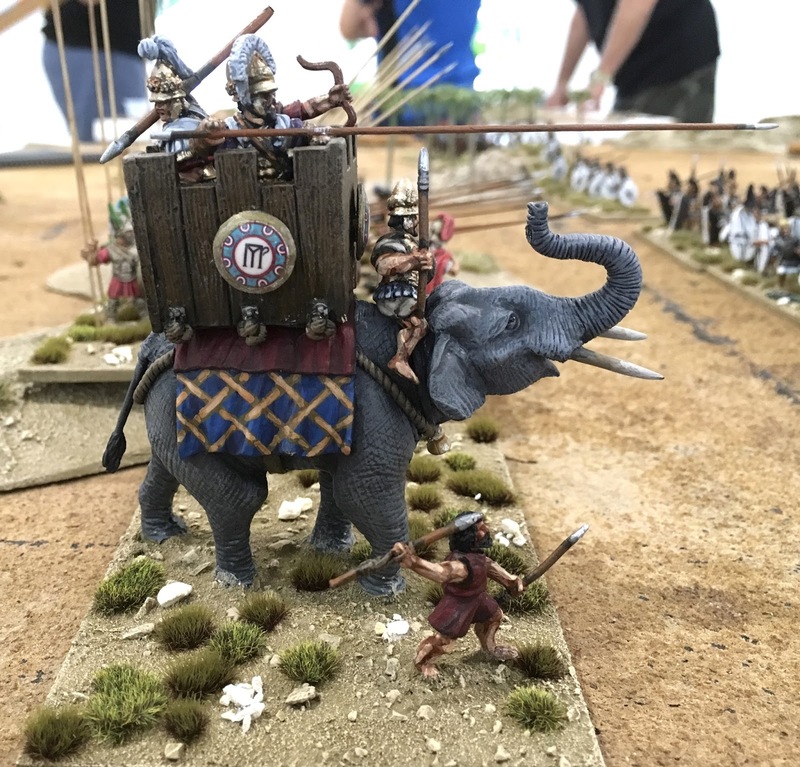 I think Jeff is very proud of this unit and the Army as a whole. 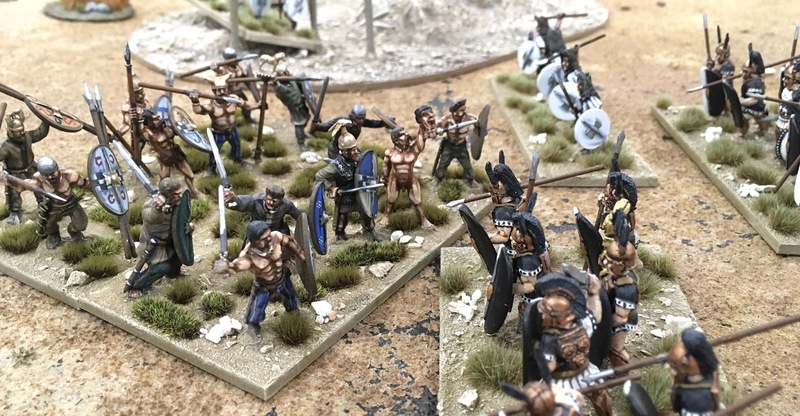 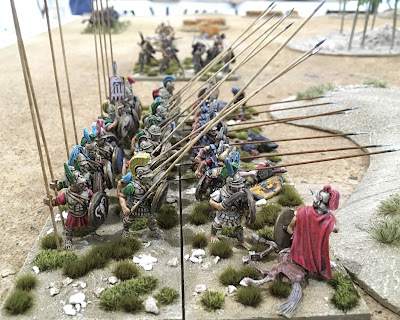 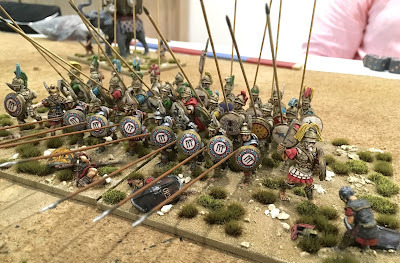 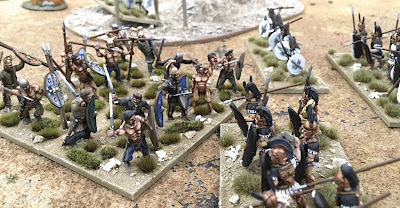 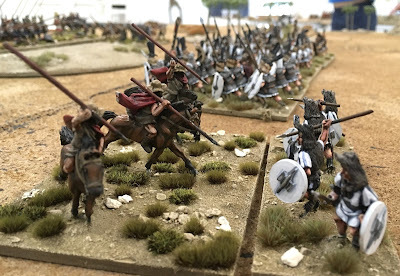 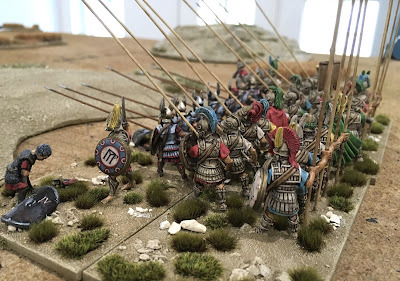 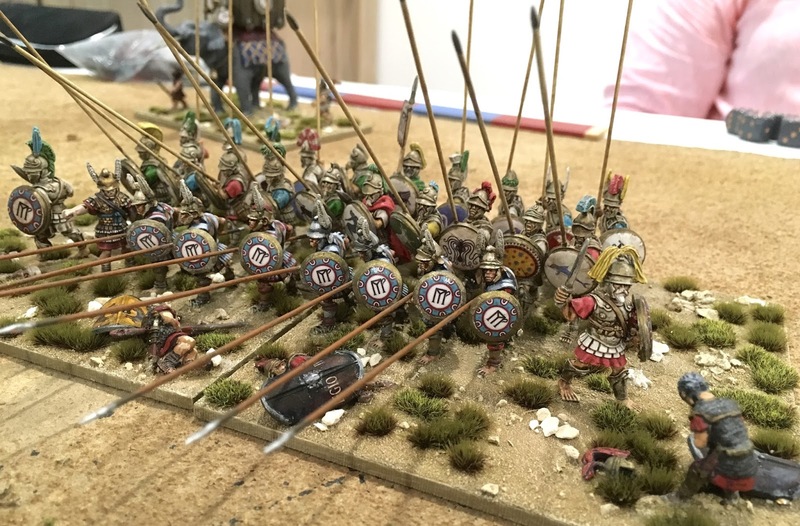 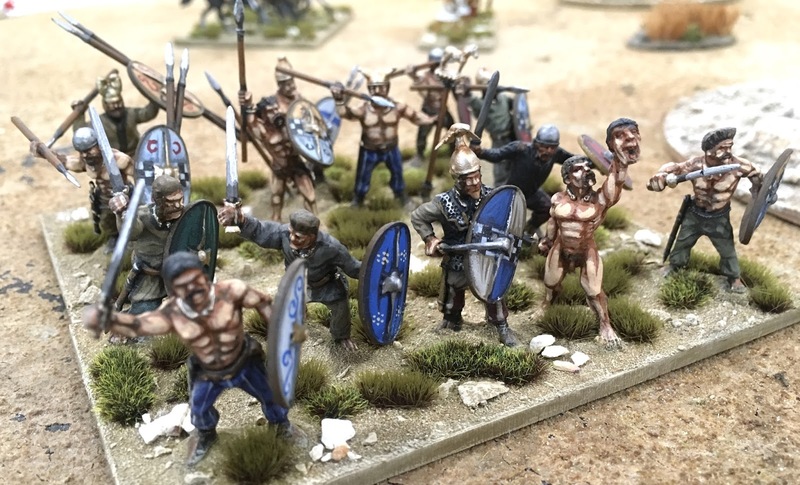 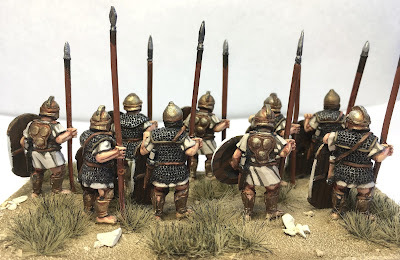 Additionally I have added a few other images of the Pyrrhic Army's first victory against the Romans.